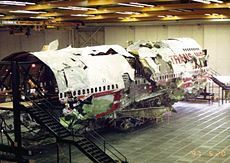 On April 3, 1986 a Trans World Airline flight was brought down by a bomb. The flight was number 840 and was on way from Cairo to Athens. It is believed that the bomb was planted by a passenger on the flight. The attack killed five people and injured four others. The remaining 110 people on the flight were unharmed.